Neil Cullen, New Zealand Tree Grower November 2018. This article is about one of the joint committees funded by the forest grower’s levy. 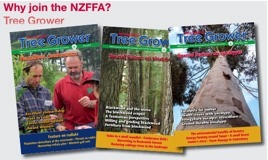 The article is part of the series in the Tree Grower outlining some of the work of the various levy-funded committees. The creation of the Small and Medium Enterprise committee was part of the process of restructuring of how the Forest Growers Levy is administered. Before the setup of the Levy Board in 2013, all grower-financed work on various topics such as research, environment or biosecurity was mainly paid for by individual corporate forestry contributions. The work was managed by the NZ Forest Owners Association committees who reported to their own board. The NZFFA had representatives on some of those committees and the NZFFA President sat on the NZ Forest Owners Association board as a non-voting member. After nearly six years of the levy, a more equitable and fairer system has evolved. This reflects the fact that all log sellers contribute to the levy and that small and medium sized enterprises contribute an increasing share of the $8 to $10 million levy collected annually. 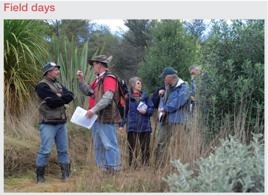 There are now eight joint NZ Forest Owners Association and NZFFA committees. These report to the Levy Trust Advisory Council which has three NZFFA representatives. The Levy Trust Advisory Council in turn makes recommendations to the Forest Growers Levy Trust Board. Further refinement of this structure may occur after the 2019 vote on the levy. It was apparent to some people that there was a need for a committee which focussed on issues specific to owners of small and medium sized forests – those forests under 1,000 hectares in area. In particular, Steve Wilton, a representative of small-scale forest growers on the Levy Board, and Dean Satchell then President of NZFFA. A small forest owner action group with support from Scion had been working on the part of the Woodco strategic plan which focussed on developing methods and information pathways for small growers. As a result of Steve’s advocacy and Dean’s work with the action group it was agreed, with support from the levy Secretariat, to set up the Small and Medium Enterprise committee in 2016. Dean was the inaugural chair and the committee was given a two-year trial which has now been converted to permanent status. On behalf of small and medium enterprise forest owners, work on relevant issues which are not covered by other Forest Growers Levy Trust Board activities and provide additional input to the work programmes of other committees to ensure the Small and Medium Enterprise committee considerations are incorporated. The Small and Medium Enterprise committee has initiated projects which are put to the Forest Growers Levy Trust Board for funding either under Small and Medium Enterprise committee control or for the uptake of other committees.The record of the past and current work programme is available on the Forest Growers Levy Trust websites. Costs for committee members attending meetings are paid by the levy to ensure that the voiced of the owners of small forests is heard. Contact and suggestions from small and medium owners are welcome. Current membership is − Neil Cullen as Chairman, Dean Satchell, Hamish Levack, Steve Wilton, Don Wallace, Graham West, Howard Moore and Angus Gordon. Invited observers are John Schrider from Forme, Les Dowling from Scion, Emily Geck from the Ministry for Primary Industries, Bruce Bulloch NZFFA, Savannah Chmielewska NZFFA,Venise Comfort and Glen Mackie from the levy Secretariat.